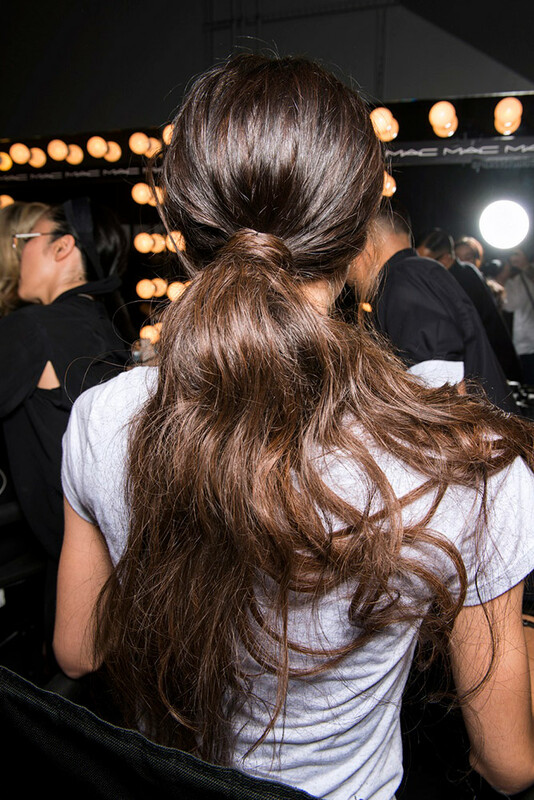 Instead of a simple ponytail, opt for a more exciting version. If you have long hair and don't have time to style it perfectly, just throw it in a ponytail and loosely curl the ends in less than half the time it would take to curl a whole head of hair. Disguise your minimal efforts by opting for a low ponytail, which adds more texture and sophistication. 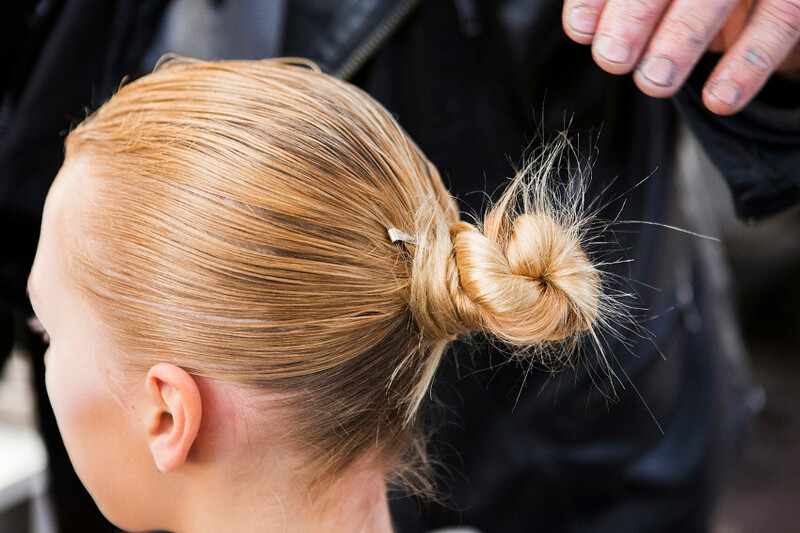 If you don't have time to blowdry, just twist a slicked-back ponytail into a bun in a more 3-dimensional way. It's so much edgier than a flat bun and is perfect for third- or fourth-day hair. Just add some gel to the front and sides to achieve that sleek bun effect. This artfully disheveled braid is more dramatic than a loose braid. Prep your hair with some texturizing spray, gather it into a low ponytail and then braid. You can tease the roots and pick some pieces of the braid to pull out more than others. 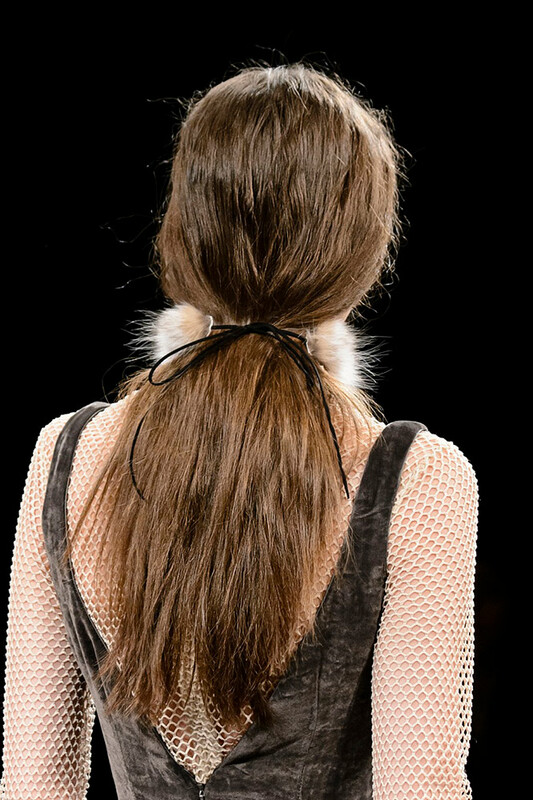 Instead of worrying about adding volume to your ponytail, go for a low-key flat ponytail with a sweet accessory. Just take a quirky ribbon and tie up your hair at the nape of your neck and let it lie flat. When we’re strapped for getting-ready time, it’s usually our hair that gives us away. We’ve mastered the art of splashing our faces with water and slapping on some moisturizer before our five-minute makeup routine, but our hair is usually treated to a two-second top knot. But there are ways to keep your extra beauty sleep without, you know, sacrificing beauty. Enter: the six-minute hairstyle. Instead of going for a super-glossed look, which takes a lot of time to create, opt for effortless ‘dos. You just need a blowdryer, some texturizing spray and some hair mist to tame flyaways. Dry shampoo is also a lifesaver for quick-fix hair. Instead of a not-so-glam braid or a simple rolled bun, here are some chic fast hairstyles we love. The post 4 Quick Hairstyles That Will Keep Your Snooze-Button Habit Secret appeared first on theFashionSpot.